Sylvia was a participant in our ‘Art of Thinking’ 10 week course’ run at Attenborough Arts, Leicester. Alistair Darling’s Budget speech in April 2009 forecasted the worst recession since the Second World War and though condemned by Gordon Brown, was probably the first honest public admission that our economics’ experts had failed the nation.1 In his 2017 New Year’s resolution, Andy Haldane, the Bank of England’s Chief Economist, acknowledged that the 2008 financial crash was economic forecasting’s ‘Michael Fish moment’.2 On October 15th, 1987, Michael Fish, a BBC weather forecaster, publicly contradicted a woman who’d kindly phoned in to the BBC to warn the nation that a hurricane was on its way to Britain. Fish told the nation, in an authoritative manner, that there was no hurricane on its way to our shores. Within a few hours, the worse storm in three centuries hit the South East of England. Walking on Southend’s seafront the following morning and trying to comprehend the devastation it caused, beach huts barely standing, hundreds of trees uprooted, cars squashed flat from falling debris or trees, one couldn’t help thinking how reckless Fish’s announcement had been. London and the South East’s GDP has grown since 2008, but the rest of the nation’s has slumped. The ‘Mayan empire to be’ (May’s political target, which is Britain excluding London and the South East) is about as wealthy as Spain with a GDP per person one tenth below the average across the EU. Between 2008 and 2014, GDP growth was slower than France’s, whilst on the Isle of Anglesey in Wales, income per person is lower than most of Sicily.4 One positive outcome of the 2016 Brexit vote has to be that the experts’ political cover is blown and they are having to own up to past misinformation and professional shortcomings. The Oxford Dictionaries’ Word of the Year (in 2016) was ‘post-truth’. The referent of this term is also sometimes referred to as ‘post-factual politics.’ It’s a term that aptly captures for me, what for a variety of reasons, has been developing in Britain for decades. I’m still uncertain as to precisely why. Is it due to the increasingly existential world we now live in? ‘This is no dress rehearsal’ I often hear myself say, a notion that is well-embedded within the commercialised cult of bucket lists such as 101 things to do before you die. Or is ‘post-truth’ the result of decades of extensive media manipulation and misappropriation of facts that reinforce prejudices, bedazzle and blind individuals by promoting the glittering celebrity culture where fact often becomes a fiction? Is this the practice that has been challenged, though not necessarily resolved, by the ongoing Leveson Inquiry of 2011-2012? Or is the digital revolution with its mass information, disinformation and more recently ‘fake news’ corrupting the populace’s thinking and understanding of itself, society, and ultimately our politics and international diplomacy? Who can confirm which of any of these aspects or others have a bearing on how British people view the world now? 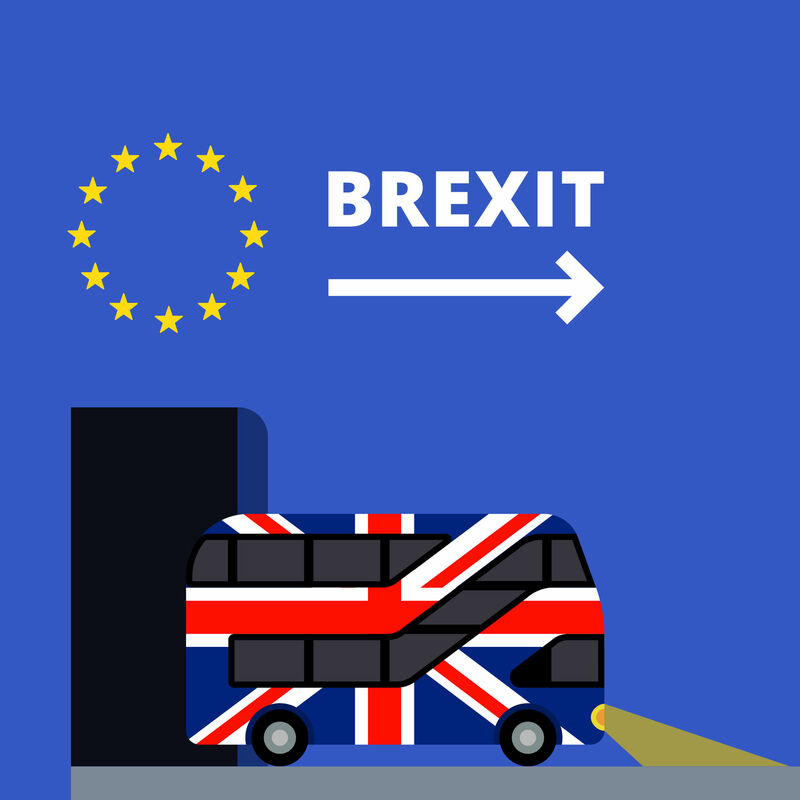 Double-decker bus painted in the united kingdom flag colors flat color illustration. uk leaves the tunnel painted in the colors of the european union flag with stars. brexit text with arrow. Bolting stables’ doors and horses comes to mind reading that piece of news which seemed to reinforce what I had encountered campaigning. Many people were horrified that the PM had called the referendum as they just couldn’t begin to imagine what leaving the EU actually would mean for their lives. Some were dismayed as much with the conduct and tone of the referendum as they were with a possible Leave vote, (which for many was too horrific to even contemplate.) I met other people who definitely wanted to leave the EU, a few of whom seemed to have given up caring about the future. They wanted to make their voice of protest heard, views which were often unpleasant and offensive, partly because of reasons dealing with the ‘other’ and immigration. Yet when I told Leave vote supporters that I thought as a nation we would actually vote to leave, I still recall the pallor of their shocked faces. The bizarreness was acute and real. Yes, many people who were going to vote Leave, seemed to not want to actually want to win the majority vote. Born in the early 1950’s, I know a bit about the EU. In a nutshell, it was forged in 1951 in the Treaty of Paris from the European Coal and Steel Community by the six founding fathers who believed that working together to rebuild Europe through trade and integrating members was far more preferable than going to war. Europe has, for most of its existence, from the breakdown of the Roman Empire onwards, lived with wars on various territories. The 100 Years War (1337-1453) largely between France and England, bled into the Hapsburg-Valois Wars (1494 – 1559) a conflict which involved France, Spain, England and Scotland as well as the Ottoman Empire. The 20th Century two world wars involved the greatest loss of life. The forgotten, almost incomprehensible fact is that between 1914 and 1945 – a mere 31 thirty years, over one hundred million lives were lost, due to the wars based on mainland Europe. The history clearly showed the founding fathers of the EU that the 20th Century World Wars were not necessarily the end of bloodshed on Europe’s soil. A shared common interest was needed to avoid the continued repetition of such devastating violence and bloodshed. Trade and rebuilding of countries collaboratively, was the way forward. In 1957, the ECSC became the EEC by the Treaty of Rome and then in 1993, the EEC became the European Union under the Maastricht Treaty, when the EEC then became the EC. The risk of war in Europe has been increasing for some years now which may have also persuaded some people to vote Leave on the perception that we’d be safer outside of Europe if such events materialize. Europe stores more than half the world’s nuclear weapons. This is further complicated by the UK’s nuclear weapons totally relying on America’s cooperation. Given the election of President Trump, there now is an extra dimension to Europe’s peace and harmony. Whether Trump will make such matters better or worse remains to be seen. 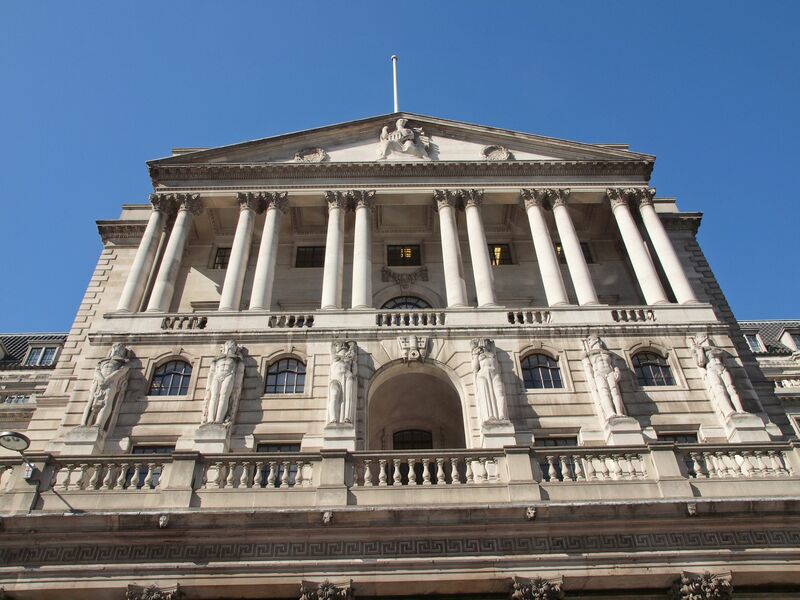 Britain was financially broken by the end of the second world war. This was true, despite the political vision and determination of both the Labour and Conservative parties provided the transforming compassionate leadership and inspiration for the people of a war-torn nation to rebuild the fabric of a civilised society. This challenge of rebuilding the country after the war was complicated by Britain’s transformation of its empire to the Commonwealth. To make matters worse for the governments of the day, by the early ‘60’s, Britain was awarded the label of the sick man of Europe, a mid 19th Century term first used to describe the Ottoman Empire, but since then has been a label that has been awarded to most European countries (even 1990s Germany). In 1979, the outgoing pro European ambassador in Paris, Sir Nicholas Henderson, in his final memorandum identified the key issues that had held Britain back in the 1960’s. Britain’s prior exclusion from the European Economic Community meant that the nation had lost out on the lucrative early, intra-European trade. The nation’s infrastructure needed more investment; industrial productivity had needed improving and a failing foreign policy meant Britain had not truly understand Europe.9 International factors such as a world recession, an emerging Cold War, as well as De Gaulle’s consistent ‘non’s’ to Britain’s repeated attempts to join the EEC had also made matters worse for governments. The on-off EEC negotiations lasted over a decade, had involved three Prime Ministers, none of whom could persuade De Gaulle to agree to Britain’s membership until 1969 when De Gaulle’s successor, Georges Pompidou became President. Pompidou began building constructive political relationships with Britain. 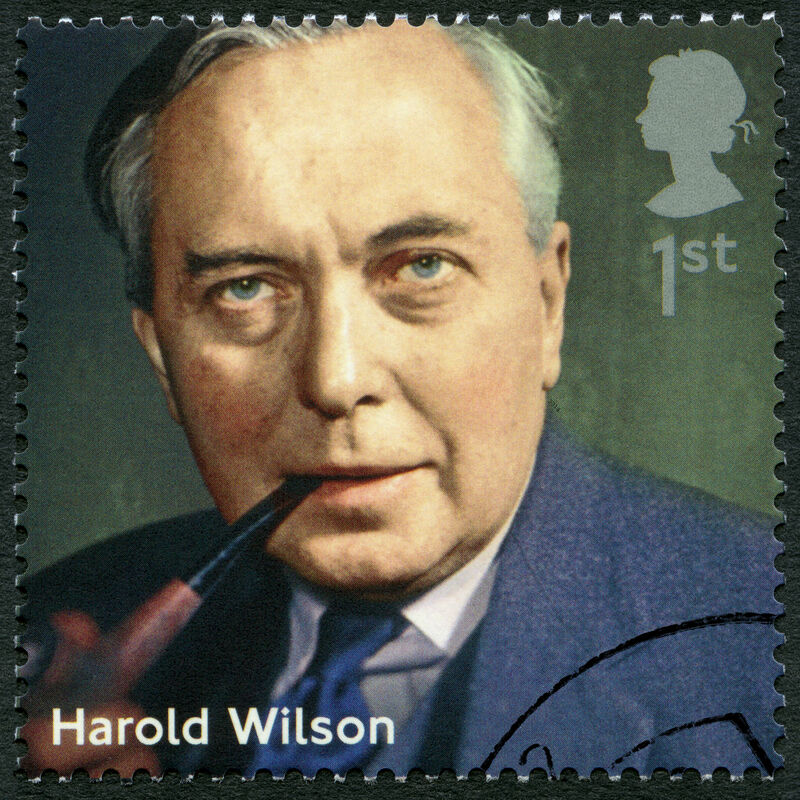 Harold Wilson built on Edward Heath’s earlier close collaboration with President Pompidou. Heath had signed the Treaty of Rome in January 1972 and the European Communities Bill was then brought to the House of Commons. Three hundred hours of debate later, it was voted on and became law. Harold Wilson’s referendum in June 1975 recommended the electorate to remain in the EEC and 67% of the turnout dutifully did exactly what he asked. Whilst food, money and jobs were key reasons, Wilson told the electorate the Remain vote was incredibly important to the prospect of peace. The prospect of peace at a time of heightened world insecurity was an over-riding reason why I and probably millions of others voted to stay in the EEC. Until then, much of my life involved regularly witnessing highly intimidating propaganda displays of military strength by the big powers; America, Russia and China. My young woman’s Remain vote was based on the total rejection of persistent exhibitions of male dominated warfare and aggression in places such as the Middle East and Vietnam. My view then, just as now, reflected the view of the founding fathers of Europe. People working cooperatively together for a shared common interest was preferable to living under a permanently destructive, intimidating siege situation. Despite this historical background and knowledge of Europe, in the 2016 EU Referendum I was a very angry and extremely reluctant Remain voter. I was so livid that I took time out and paid the price of a first class stamp, now an exhorbitant 64p, to write to the Prime Minister. I appealed to his better judgment to postpone the referendum, as I sensed this was a time of ‘darkness unfolding across Europe’ where, we as a nation, needed to seek greater collaboration and cooperation with our European neighbours at these challenging times post 2008. The mistiming of the EU referendum was embarrassing, when ‘at Europe’s time of need’ David Cameron was wearing the ‘coat of the bully boy rather than the cloak of statesman’. The PM’s Correspondence Officer’s single sentence acknowledgement reply to me (dated the 13th of November) was little else but a common courtesy. This fund, whilst not perfect or extensive enough in my view, provided much valuable money to agencies such as councils, police and primary care trusts to help alleviate the impact of immigration on public services. At about the same time, however, George Osborne cut Corporation Tax to 24%, depriving the Treasury of £6.4 billion per year. The right-wing ideological Austerity of George Osborne which Ed Balls, Harriet Harman and others in the Labour Party appeared to support, horrified many honest, reasonable, perceptive people who knew that such misplaced Austerity would only increase community stresses, hit the poorest in society with worrying outcomes for such neighborhoods, and beyond. After all, surely society is only as strong as its weaker links. This is especially true if we are all supposedly in this financial crisis together. Central government’s reduction of vital resources which supported mainly impoverished urban communities (often in Labour controlled councils) meant in such neighbourhoods, genuine frustration and disappointment with the state was increasing, a frustration which was often wrongly left in local Labour politicians intrays rather than those of central government. For wealthier people, the wider global sinister forces had (as one member of the local Conservative party who lives in an idyllic rural setting explained to me,) fuelled the genuine fear that ‘millions of refugees were emptying out’ from Africa and the Middle East to seek better lives in Europe, including Britain. The refugee ‘boat’ crisis had been and would continue to be uppermost in the media, and therefore immigration would be top of people’s minds. It was obvious to me that there was absolutely no reason David Cameron could be confident that there would be a majority Remain vote. I awoke to the BBC’s World Service at 4.00am, on June 24th. It was evident that a simple majority of the electorate had voted Leave. David Cameron, at 8.47am, on the doorstep of Number 10, visibly shocked by the result, announced his resignation.11 I will never understand why the Advisory Referendum was based on a simple majority. 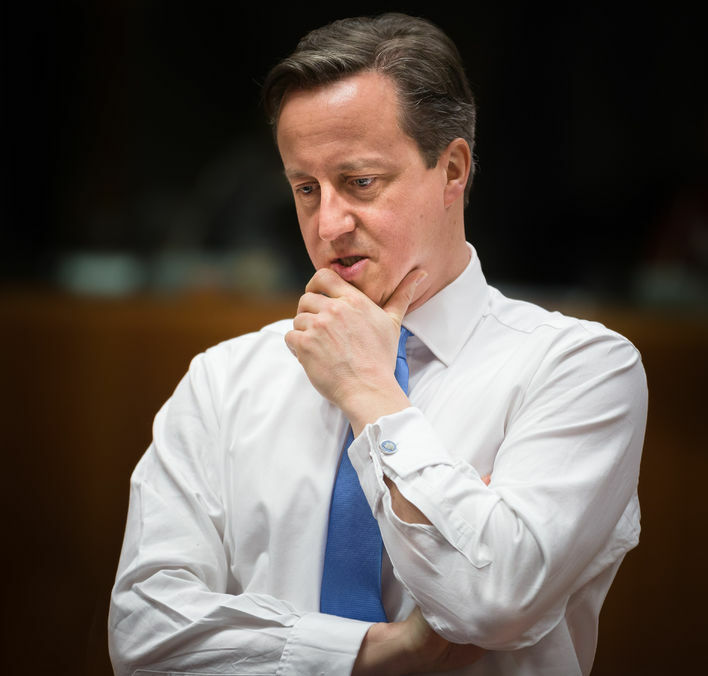 David Cameron had during the campaign, stated he would uphold a majority result, probably as much to deter voters from voting Leave.12 It could and should have been debated in Parliament. Scotland and Northern Ireland were more than likely to vote Remain, which they did 62% and 56% respectively, so there would be significant implications for the future peace and harmony within the Union on a Leave result. The UK is currently governed by a constitutional monarchy with a representative parliamentary system that includes a devolved national Parliament in Scotland, and national Assembly in Northern Ireland and Wales respectively. The EU referendum vote on such a complex national and international matter should have applied a super or qualified majority which would have avoided the seriously deep and divisive rancour that now pervades the nation and threatens the Union, due to the overall 52%-48% result. My political nature is one of a democrat. I feel rightly or wrongly that the Referendum vote has to be upheld now, unless there are particular reasons why the government cannot progress this people’s vote, either because of the damage to the nation, or if the EU announced key changes to the free movement of people which would change the basis on which the referendum was held. I have real reservations about how democratic our First Past The Post voting system is, including both houses in Westminster which now have devolved certain powers to three regions, but not England. The constitutional tensions of the Union are becoming more visible and will no doubt challenge the harmony of the Union for years to come.13 What politician or party can actually square this circle and yet at the same time unite the nation, with half the electorate and Union wanting to remain in Europe? The prospective political stalemate in Stormont is worrying to observe, let alone contemplate. Were our British politicians of all parties, excepting UKIP, to be asleep on their Westminster watch? If so here’s hoping by now the shock has awoken both their sleeping houses. The UK has secured a special status in a reformed EU: we will not join the euro; we will keep our own border controls; the UK will not be part of further European political integration; there will be tough new restrictions on access to our welfare system for new EU migrants and we have a commitment to reduce red tape. A second guide funded by the Electoral Commission dropped through the nation’s letterboxes in April. Various groups based on political, a-political and cross-political affiliations, distributed a range of information booklets on Britain’s High Streets, as well as thousands of events which were held in church or parish halls, street stalls, and market places. Various brightly coloured bus campaigns promoted snappy, misleading slogans, more often about funding the NHS. The campaigns seemed to seek to mine the emotions of the electorate, with the intention of capturing our loyalties to our beloved NHS within the highly complex message of the UK’s future relationship with the EU. And many people fell for these political sleights of hand. The campaign did descend into confusion, so the electorate shouldn’t take all the blame. David Cameron regularly was seen getting in and out of the red Remain bus, whilst Boris Johnson was repeatedly photographed in front of the blue Leave bus. UKIP to its credit, kept its political integrity and kept its purple colours on its campaign bus. A certain misplaced nostalgia began to surface early on in what eventually ended up being the most distasteful and bigotted national political campaign I have ever worked on. I was suddenly brought back with a hard jolt to the ‘No Irish, No Blacks’ years when such phrases were displayed on posters and postcard adverts in many corner shops in the 50’s and 60’s. Whilst the Commonwealth may have transformed the British Empire abroad, it had brought new challenges as well as opportunities to the British people at home. The immediate acute labour shortage after the war was partly eased by the government encouraging Commonwealth citizens, many of whom had fought for Britain during the war, to supplement the workforce needed to rebuild Britain. My Northern Irish parents chose to live in England after the war because as a mixed marriage by religion they believed their future happiness was more secure here, which given the Troubles proved to be the reality. Irish people have experienced racism in England for centuries and certainly growing up in the ‘50’s my parents chose to be very discreet about our heritage.18 That option was not available for non-white immigrants. The first race riots of 1948, in Liverpool, spread to Birmingham, Nottingham and London during the ‘50’s. As immigration continued to increase, so did racial tensions. The 1965 Race Relations Act, which evolved to become the Commission for Racial Equality in 1976, was intended to constructively counter and control the racism that percolated throughout british society, largely achieved it’s goal until UKIP raised its political profile. Both Sked’s groups had acted as magnet for those people who were anti-EU and briefed against two Prime Ministers. Mrs Thatcher’s signing of the Maastricht Treaty and John Major’s continued support of promoting a pro-European agenda provided the focus for continued antagonism by the ‘dispossessed and bastards’ as they were so called.20 The collapse of the anti-European Referendum Party, due to the death of its wealthy founder James Goldsmith, (father of unsuccessful London Mayor candidate Zak Goldsmith in 2016), provided more recruits for UKIP, and in the 1999 European Elections UKIP gained three Member of European Parliament seats in England. Over the next fifteen years, UKIP continued to increase its number of MEPs. In the European Election of 2014, UKIP received the greatest number of votes of any British Party and gained eleven more MEP seats, giving it a total of twenty four MEPs. In this election, the Labour Party gained seven seats, giving it a total of twenty seats whilst the Conservative Party lost seven seats giving it only nineteen seats. Since the 1990’s, UKIP’s often offensive billboard campaigns continued to shock and offend me but the party reached a new unexpected low for me with the 2016 Breaking Point referendum.23 I fear an unhealthy sinister tone has now infected our political discourse which must be challenged and confronted. The assassination of Joe Cox in the final weeks of the referendum, besides leaving our society so much politically poorer, also leaves us very uncertain of how to heal the fear, unease and divisions that have seem to have lain dormant and now have been manipulated by some for pure political gain. A priority surely must be the rebuilding of confidence in our democracy, including the restoration of an open and healthy political discourse which respects difference. Making all votes matter and introducing a well thought, through proportional representation system would help to overcome the political apathy, and even alienation experienced by increasingly large numbers of voters. Tactical voting for many people has resulted in much of the UK electorate not so much voting for the party of their choice, but rather more voting to keep a certain party out of power. Political parties only focusing their attentions on key marginal seats adds to the electorate’s sense of frustration as well as disappointment in the voting system. ‘Why bother voting if your vote doesn’t count?’, a commonplace comment I’ve heard when canvassing. The voting patterns in the UK have, until the EU Referendum, reflected voter apathy and an almost disinterest in politics.24 Our voting system has a lot to answer for, has corroded democracy, and needs modernising as a matter of real urgency, if we seek to uphold democratic principles fit for a civilised digital world. Water color caricature illustration of Nigel Paul Farage, a british politician, MP and the leader of the uk independence party ukip facing front done in cartoon style. As a Green party member who’d worked throughout the referendum campaign, I wasn’t the only one who wanted to get my life back, following the June vote. Nigel Farage wanted his life back too, and in early July, less than two weeks after the referendum, he stood down as leader of UKIP, claiming ‘he’d done his bit’. Was it because of our turbulent global economic times, or has Farage played a blinder keeping a low political profile for UKIP at home and abroad which lulled the elites into a false sense of security? Farage whether you like him or not, is probably the most effective British politician this century, and maybe the 20th Century too. I know of no other politician who in less than twenty five years can claim to have achieved such a dramatic vote which has successfully challenged the power of the establishment, on an outcome which will change the course of the United Kingdom. No doubt he probably earned and deserved a well-earned break. Yet in early November, it became evident his life was taking a further shape. A certain photograph of Nigel Farage and Donald Trump raised eyebrows on both sides of the Atlantic, especially when it was reported that Farage had chosen not to attend a Remembrance Sunday parade or wear a red poppy.25 Did Brexit prepare the ground for Trump’s election? Maybe Brexit helped stir up support amongst Trump’s supporters, but probably the electoral college system was more responsible for overturning Hillary Clinton’s popular vote as it has done on at least three former occasions. Certainly Bernie Sanders and Donald Trump both captured a growing political populism from left and right political wings respectively. The political centre ground would appear to have become hollowed out. What is concerning however, is learning that the Democratic National Committee seemed to be very determined to hinder Sanders’s campaign with what one can only assume be the ultimate aim of promoting Clinton’s campaign.26 Behaving neither as a democratic nor neutral body, the DNC was clearly out of touch with the American electorate, a mistake that will haunt the nation’s political future, though Trump’s election no doubt is informing the Democrat Party’s political vision. There are echoes of this dissonance in the Parliamentary Labour Party’s untimely leadership coup last summer against Jeremy Corbyn. This coup indicates that the PLP of Britain’s largest progressive party also has been struggling to cope with the challenge to political elites. In 2015 I was one of the many hundreds of thousands of people who grabbed the opportunity to hear Corbyn speak. Not so much a commanding or demanding orator, I’m pleased to say, he came over as a genuine person rather than a career politician who was willing to speak out and up for common sense (and oppose Austerity). The lack of spin and political cliches was very refreshing. Even in Essex, a county described by Farage as the ‘most Eurosceptic of counties’ and a breeding ground for populist right-wing politics since the mid-90’s27 people turned out in their thousands to queue up and listen to Jeremy; this mild mannered, quietly-spoken, polite elderly man, who for a once-silent ever growing minority, talks so much common sense in the world of sound-bites. Whether it’s the democrat in me or the chance to re-build a new Britain I can’t say, but I’m adjusting quite quickly to this ‘post-truth’ world and maybe because of my optimistic personality I can see the silver lining in the political shocks that no doubt I will continue to experience these next few years. I’m feeling hopeful and what’s a life without hope? Without hope, most of us we wouldn’t get up in the morning, a fact Corbyn understands and May possibly is beginning to learn. I’m appreciating the fact that our current political populism is more commonplace in democratic nations. Perhaps it’s the only way forward, for the time being (given the neo-liberal financial crisis and global mess we’re still living through). The traditional political order has tended to demean and diminish the value of populism, yet now I sense this is precisely the moment in both the UK and USA’s democracies for populist movements to speak out and challenge the visibly flawed status quo. The political leadership of the past decades has not educated the electorate, listened to the people, or honestly discussed with us the political consequences regarding globalisation, tax avoidance, climate change and immigration (to name a few topics). The wide ranging discussions need to educate both the electorate and its politicians (as both have been fed or maybe conveniently relied upon half truths and modern myths for much of these recent decades of politically driven tabloid times). I hope that the new unit set up by the BBC will help us all to draw attention to and clarify fact from fiction.33 As importantly, the BBC must review its policy on news balance, as so much fake news has been almost promoted by the BBC’s lack of rigour, when interviewing individuals who pronounce knowledge when often its is merely their own personal prejudices or interests they’re upholding. I wonder what will be the price the Conservative and Labour parties have to pay for David Cameron’s Brexit faux pas? Is it unfortunate timing or opposite that as Britain is looking to explore new trading relationships, Trump seems to be wanting to encourage protectionism? Will the Prime Minister and/or the President realistically be able to deliver any of the change implicit within the Brexit and Trump votes and if not what happens next? As politics has become extremely interesting, the irony hasn’t escaped many older members of the British electorate. The Conservative and Republican parties hatched the 80’s neo-liberal experiment that many of us didn’t chose or believe in, but have had to endure and live through most of our productive lives, the best we morally can.36 As Howe’s Treasury private office papers show, the long term interests of the Conservative party was always to reduce the role of the state including health and education.37 George Osborne’s target of reducing state spending from 45% to 36% of GDP, well below that of any other EU country, is still part of Theresa May’s programme of even more cuts. The political crossroads we’ve been travelling towards all of a sudden is quickly being reached. The path the electorate chooses at the next General Election I believe will set a new course for British society, just like my parent’s generation did, post second world war. The political will of the 40’s and 50’s established a broad-based inclusive vision founded in free universal health, education services, and that political will progressed emerging priorities of equal opportunities and individual rights which built the modern outward looking society, pre Brexit. That broad inclusive vision, as well as its outcomes and aspirations, has benefitted the nation for over half a century and is still the envy of much of the world. The 2008 global financial crisis, like nuclear fission, is still unfolding and for me is at last challenging a falsely perceived political consensus. I’m hopeful that although these are testing political populist times, today’s albeit shocking and enormous political challenge will make the Labour Party strong again and help it rediscover its inner soul and cooperative zeal. The political static which has tried to drown out Corbyn’s message for a fairer, more compassionate Britain has failed dismally. Jeremy Corbyn, once a wrongly ridiculed politician, now appears to have achieved the impossible, as he is seen by many to wear the mantle of both populist and statesman. Whilst not a religious person, the three religious symbols – faith, hope and charity – come to my mind. All three have important resonance for the Labour Party now, but for me the priority is hope – for I truly hope Labour can unite, can find its compassionate soul and pursue an informed enlightened political vision for what no doubt will remain an uncertain 21st Century for the forseeable future.